Your Core is the Engine That Powers You. Rev Up Your Engine! This plan features 30 days of functional strength workouts that target your glutes, hips, abs and lower back. All you need is a resistance band, a stability ball, a step (household variety will do!). Light handweights are optional. Each workout is only 15 minutes, which makes it perfect to include as a warm up or a cool down for the main swim - bike - run session of the day. Length: These workouts can be incorporated 3-7x/week in concert with your main SBR training plan. Ability level: All levels. Exercises can be adapted to meet your specific ability level--beginner to advanced/elite. These functional strength workouts are ideal for endurance runners and triathletes. Before starting this plan, you should be able to do some basic movements while supporting your body weight (e.g., pushups, tricep dips, squats). Join us on Facebook and let us know how the training goes and how the race goes! Do this workout as a circuit, either 1) 10-30 repetitions, or - 2) spending 50-55 seconds per exercise - With either option, take 5-10 seconds to switch exercises. - Complete one set of each exercise continuously to complete one round. Complete a total of 3 rounds. - The level you choose depends upon your ability to complete the repetitions with perfect form. Do not compromise form for quantitity. - *The number of repetitions is based upon your fitness and your ability to maintain perfect form for the duration. It is better to do less repetitions with perfect form, than more with improper form. What's your big dream - you know the one that makes you feel scared AND excited? Yup, that one. Whether your dream is about a first time or a fast time, we want to help you make it come true. 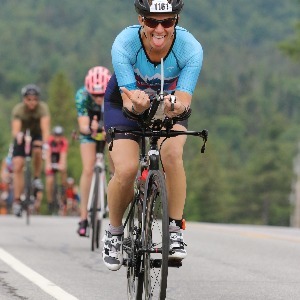 We've built a strong community that focuses on the training needs of busy age-group endurance athletes of all levels--in both triathlon and running (including ultra distances). We offer remote one-to-one coaching, local one-to-one coaching, training plans, group training, training camps, & video analysis.